Given by Mrs. H. T. Bodset (through the Société Jersiaise, Jersey). 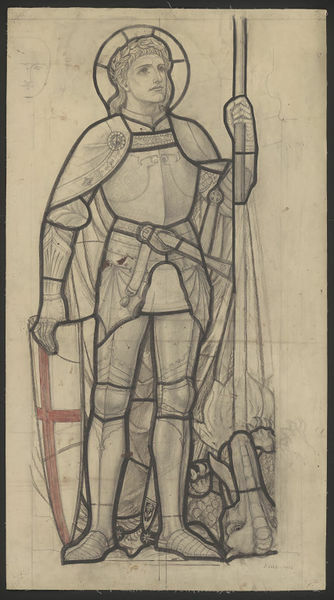 Portrait format drawing depicting St. George in a design for a stained glass window. 'St. George. 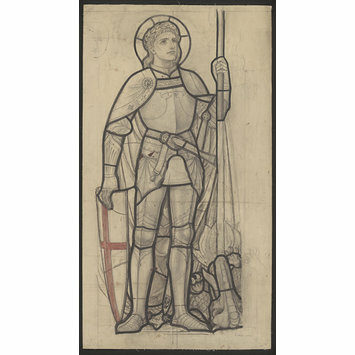 ', design for stained glass by H.T. Bosdet, England, 1856-1934.